Kellie first started participating in Pilates in 2000. With over 10 years’ personal experience in Pilates, including training through two pregnancies, Kellie has developed a passion for Pilates and a strong appreciation for the strength and stability Pilates brings to the body and everyday life. A strong belief in the effectiveness of the Pilates method and a desire to inspire others to experience its genuine benefits led Kellie to embark on a career change after 20 years of being a Chartered Accountant in corporate business. Kellie completed the Diploma of Professional Pilates Instruction at National Pilates Training in February 2013. 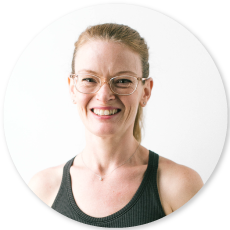 Kellie takes regular classes with Kath Banks (owner of Aligned for Life Moonee Ponds) and participates in continuing education workshops to continue to learn and further develop as a Pilates instructor.